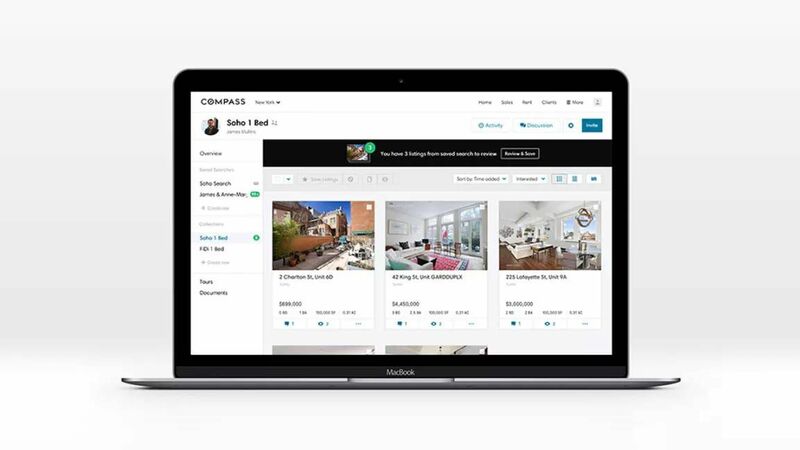 Compass, a New York-based real estate startup, said Thursday that it had raised $450 million in funding from SoftBank Group’s Vision Fund. The deal values Compass, which has now raised $775 million in total, at $2.2 billion. Cofounded in 2012 by CEO Robert Reffkin and executive chairman Ori Allon, Compass has quickly established itself in top-tier markets like New York by wooing top agents. Its technology platform helps agents price and market properties by automating workflows and giving them access to data insights. After signing on with Compass, agents see a 25% increase in commission income in their first year, the company says. Compass, which is currently active in 11 U.S. markets after launching in Chicago last week, plans to use the funds to double its domestic reach over the next year. Eventually, the company plans to enter markets overseas. “We’ve been doubling every year in terms of revenue, in terms of transactions. Now we want to take it up a notch,” Allon tells Fast Company. Today, half of Compass markets are profitable, with the most established leading the way. Allon expects revenues to surpass $800 million in 2018.